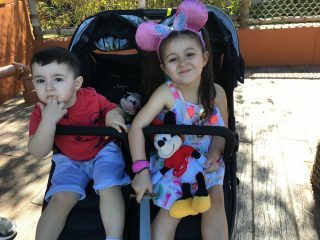 Looking for the best travel car seat for your toddler to use on planes, trains and automobiles? We’ve got you, boo. 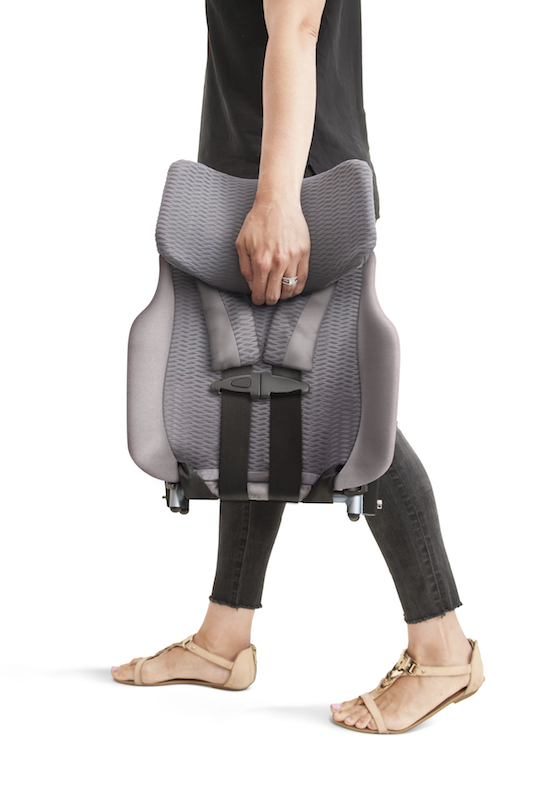 Meet the Pico travel car seat from WAYB (rhymes with “baby”.) Here at Gugu Guru we think the Pico from WAYB is kind of a big deal and we bet you will too. This innovative and totally game-changing travel car seat is intended for 2-5 year olds and designed to make any on-the-go parent’s life a heck of a lot easier. What first struck us as super cool about the WAYB brand is that it was co-founded by the former CEO of Patagonia. 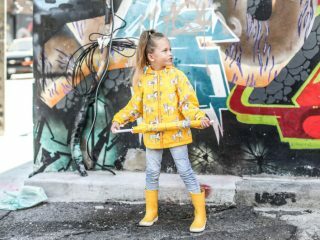 When you think about the fact that parents and caregivers need durable, high-quality gear for navigating life with baby – it makes total sense that someone with experience in outdoor gear can probably help in that department, especially if he or she is a parent. What we also love is that Patagonia is a brand known for its commitment to our planet and those values have clearly transferred over to the WAYB brand. 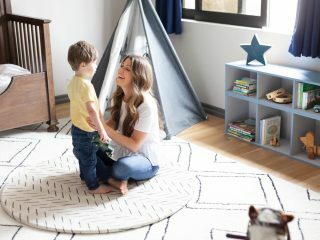 Aside from their experience with gear, the entire WAYB team is comprised of parents who love to travel and who have a mission to reimagine and improve on the baby gear that’s out there. They want to make it more durable, lightweight, sustainable and just easier for caregivers all-around and we are pretty pumped about that. 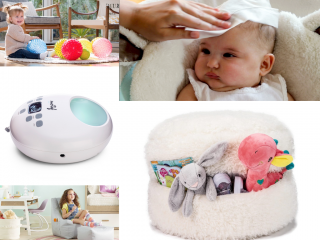 The company’s first product, the WAYB Pico, was actually inspired by watching parents struggling in the airport. We’re intimately familiar with that struggle at Gugu Guru because many of us have experienced lugging a heavy car seat around to either check with our luggage in a giant, oversized bag or, worse, dragging it through security with all the other kid stuff you need to bring on the plane from diapers to snacks to ensure your flight goes smoothly. 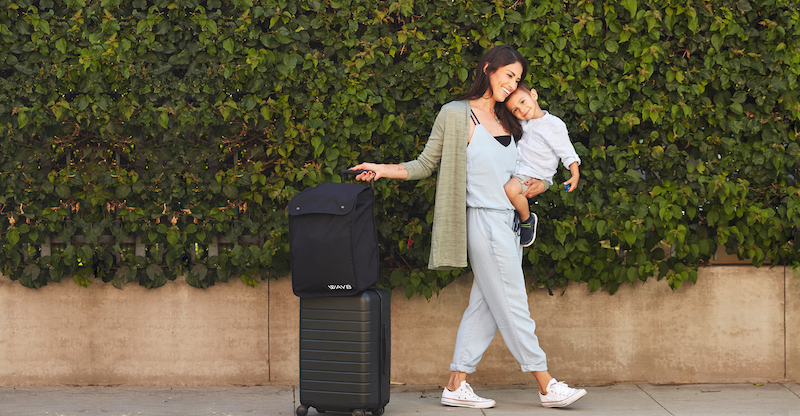 To make life easier, the WAYB Pico travel car seat was designed to be easy to carry, stow, fold and take wherever parents or caregivers go – and we love that. However, that’s not the reason why we consider this car seat a game-changer. It’s how the Pico is constructed that makes all the difference. 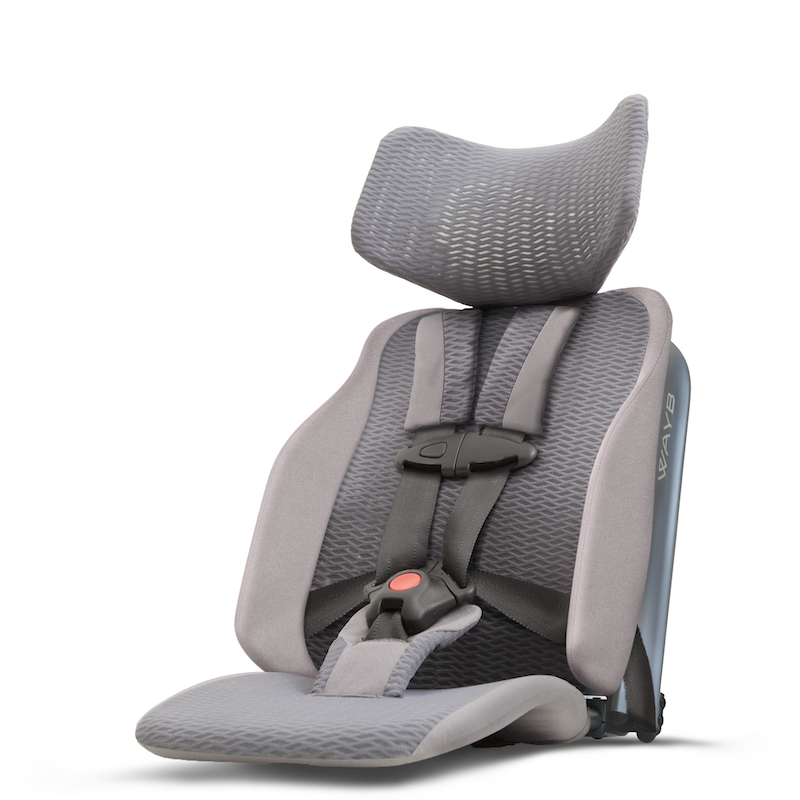 The aerospace-grade aluminum frame makes it ultralight at under 8lbs and instead of using typical car seat foams that can be full of toxins, WAYB made the Pico with a high-performance, comfortable mesh fabric instead. 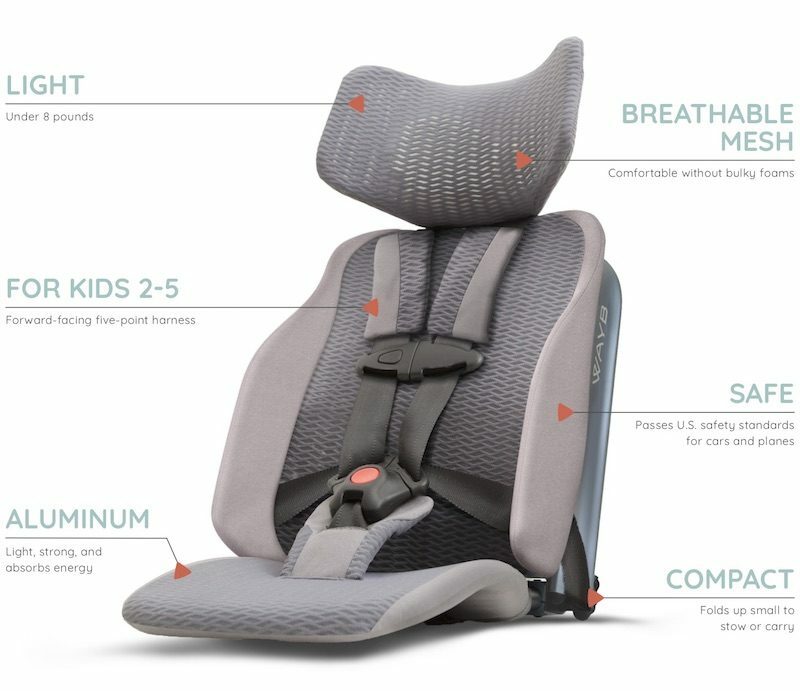 What’s more is that Pico passes the same U.S. safety standards for cars and planes as big, heavy car seats, but it’s way better for people and the planet. ‘Nuff said. With the holidays right around the corner, if you have a toddler age 2 to 5 years old and you’re looking for a travel car seat that breaks the mold with its lightweight features and sustainable, eco-friendly construction – look no further than the WAYB Pico. Go to this link to get your limited offer 40% discount for Gugu Guru readers of $209 (but hurry up because there are only limited quantities available at this price. Otherwise the non-discounted MSRP is $350.) You can learn more about WAYB on their website, Instagram, Facebook and Twitter. 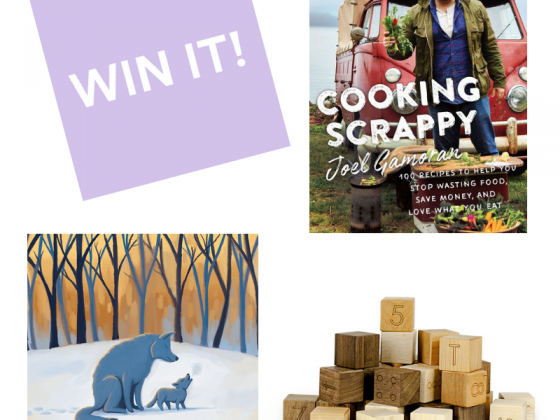 Thank you to our partners at WAYB for making this sponsored post possible.